The methodology of the transmucosal implant technique is definitely one of the surgical techniques in the oral area most appreciated by the patient. Unlike the traditional methodology where the dentist was a real surgical cut to allow then the grafting of the plants in the mandibular and / or maxillary. The absence of the cut. The implant is inserted into the bone without opening the gingival flap and then without creating cutting of the gingiva. The important advantage is that the bone is not exposed outside. Tissue healing defendants in the intervention are much faster. Is limited in the case of reduction and resorption of bone tissue much more frequent in the traditional technique. Reduced use of drugs in the pre-and post-operative. No use of the scalpel. Less time to detect footprint. Easier to create temporary teeth. Lower cost of the intervention. Low risk of post-operative infections. Ability to eat solid foods right away. 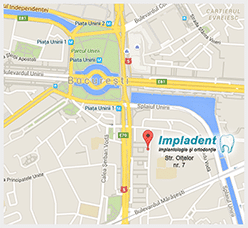 Finding a cheap dentist that you trust is very important. While finding a dentist can be a rigorous task. We are the solution!